High-performance professional servers, specifically designed for relationship management (CRM) tool setup. payment earns you two months free! The perfect starting point for growing an online presence. TRY FOR 30 DAYS RISK-FREE! Your VPS (virtual private server) plan comes with a pre-installed cPanel if you need(License price not included - Cpanel/WHM License Price cost is - $16/month), which helps you manage your hosting environment efficiently. 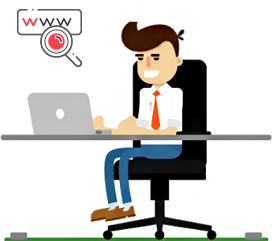 With the help of Softaculous auto-installer within the cPanel, you can install WordPress, Joomla, Drupal, Magento and much more within a minute.. Your VPS (virtual private server) plan comes with full control from client portal also reinstall different environment efficiently. While some service providers take hours or days to get your server up and running. Our VPS servers are designed to be provisioned within minutes! Unlike many VPS hosting service providers charge setup fee, but we don’t charge any setup fee. Still searching for the best VPS server? desire with our cloud VPS hosting servers. RISK-FREE TRIAL PROGRAM. 30-DAY NO-RISK GUARANTEE. Try us for 30 days absolutely risk-free! You are completely protected by our no-risk guarantee program. If by any means you decide to cancel your account over the next 30 days, you'll receive an instant refund, no questions asked(T&C Apply). Our Linux KVM VPS based hypervisor technology ensures consistent top-notch performance and the resources* of the server can be scaled as your business expands. Our network is designed with multiple reputed ISPs to ensure high stability, eliminate single point of failure with an integrated DDoS protection, at NO additional cost! Yes, All the orders will be activated instantly. Can i Buy More Resource if needed ? Yes, If you need additional RAM,HDD You can contact our sales team for Upgrades. Whats the Uptime and Port Speed ? We offer 99.9% Server Uptime with 1 GBPS Network Port comes with 2 GBPS DDOS Protection. Does this product include Managed support? We offer Full Managed support for your Server, Hosting and Other Product. What Our Customers Have To Say? The delivery of my service was made quickly, and I have not had any setbacks, I just found the best company in the network. This is the best company, the best support, the best tools, totally customizable. Simply the best company. I imagined headaches when configuring my services but with the help of the hosting support I managed to make all my settings without setbacks..
Cheap Dedicated Server With high configuration experience for your business!